Struggle and success are just two of the many things people can relate to. Spread across our lifetime and in varying degrees, we all have our own struggles and successes that are instrumental in telling our story. 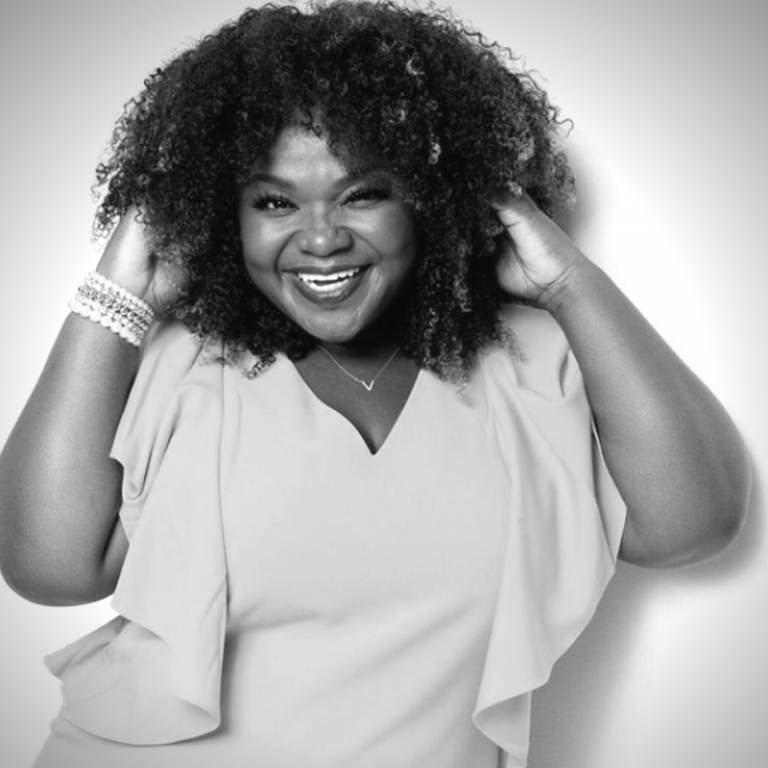 This week on NDINI, I interview a phenomenal and unapologetically authentic African sister determined to share one such story – Vivian Kaye, the Founder and CEO of KinkyCurlyYaki. What does it take to build a business by yourself from the ground up? How does being ‘real’ fit in this hyper filtered world? Discover how Vivian’s authenticity and grit became her brand and why she’s passionate about sharing her (not-so) secret to success with the world. Vivian Kaye’s family was originally from Tema, Ghana. She’s the second born and has 3 siblings – all women! Like any African family, hers was tightknit, loving, and held education as their highest priority. When she was 2 years old, they migrated to the predominantly white neighborhood of Hamilton, Canada. As an immigrant, she struggled with your usual case of bullying and lack of media representation. Despite these setbacks, Vivian’s resolve to step up and shine in her own way stayed strong. By the time she went on to university, Vivian started to change. She felt like everyone else would excel, but not her. She felt out of place and wasn’t aware then that she had fallen into depression. Luckily, her mother took notice of her behavioral changes and brought her back home to recover. Vivian proceeded then to take on job after job, juggling roles that grew her skill set. It eventually came to a point where she became the go-to person if you wanted to get anything done, and done well. She worked in a marketing firm, dealing with and helping other entrepreneurs with their business. This was where her entrepreneurial spark was born! Thanks to a bad experience with her sister’s wedding decorators, her first business, Vivian’s Decor & Designs was born. She slowly built her authority in the wedding planning scene, taking on $500 gigs, and eventually landing bigger ones. But being a wedding decorator and planner had its own struggles. Seeing as weddings are usually formal events, she needed hair that looked “presentable.” She needed her hair to be flexible yet authentic. She looked for high-quality textured hair extensions and was disappointed at how unnecessarily difficult it was to find some. So she did what any sane woman would do, she took the situation to her own hands and found a solution that fit her needs. Unbeknownst to her, there were others who needed and wanted the same thing! After being asked about her hair one day, she wondered if there could be more to her hair extensions than what she was seeing. This is how KinkyCurlyYaki came to be and now, it has grown into a multimillion business. There’s more to this story than Vivian’s building a successful business though! Aside from entrepreneurship, Vivian’s calling has branched out to coaching and public speaking. She has hosted several events where she shares her un-glazed entrepreneurial journey. She’s also done one-on-one coaching, giving actionable advice so others can attain success through authenticity. All this she credits to her inclination to keep trying and constantly learning from her experiences. This interview was such a delight! Vivian is probably what ‘joy’ would be like if it were to become a person. She possesses the confidence and positivity that is both comforting and contagious. Our conversation was a beautiful reminder that being and staying true to yourself is the key to living a purposeful life. So, don’t miss this opportunity to listen to her story and share it with those you know would need to hear her message!